If ONLY this were around when my kids were little. I remember the contortions and broken nails trying to hook up the *9Ghjeu!! !%(* car seats. 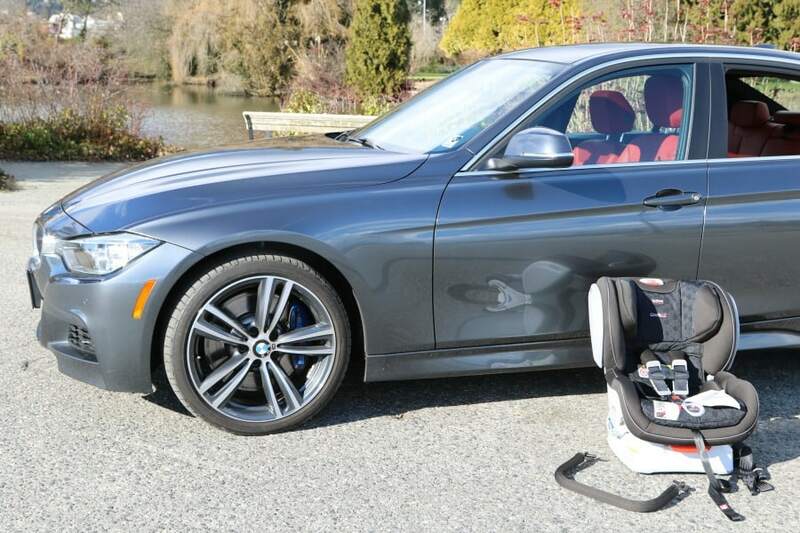 And even better – when you test drive family vehicles as part of your profession? You have to shift them weekly (along with stale french fries and empty juice boxes). 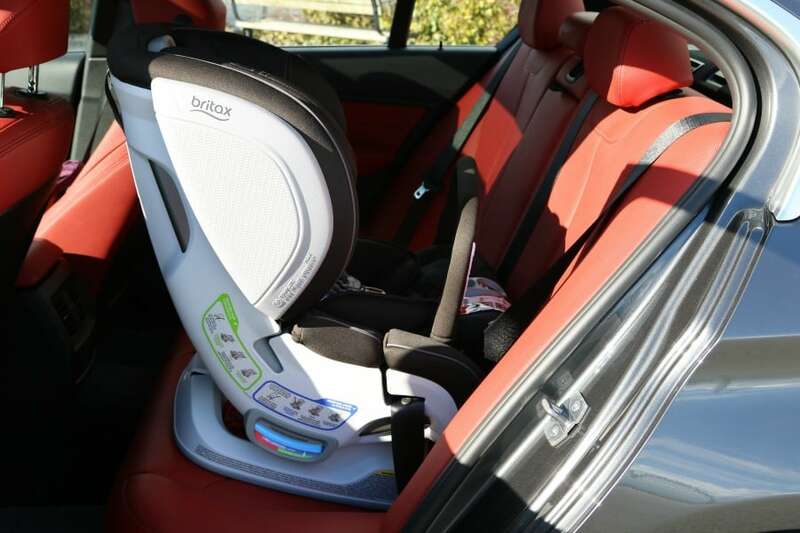 The new Britax Advocate ClickTight Convertible car seat makes me want to have it in the car just because it’s so easy to install. It includes the ClickTight Installation System for the safest and easiest installation in every car, every time. It’s also built for the Canadian as well as the US market. 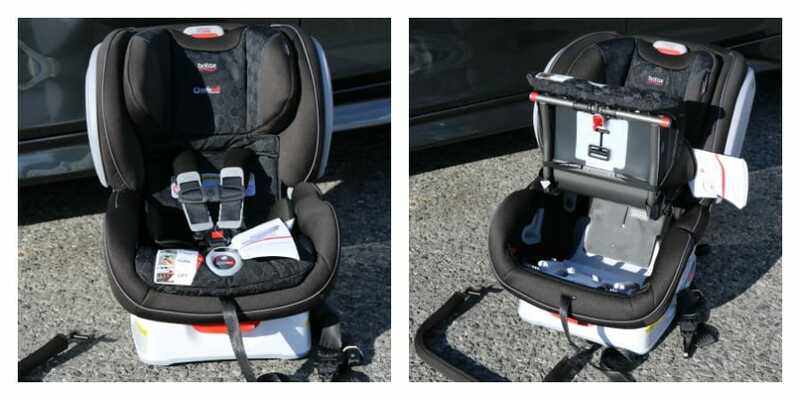 This seat offers three layers of side impact protection, an impact-absorbing base and steel frame for maximum safety. 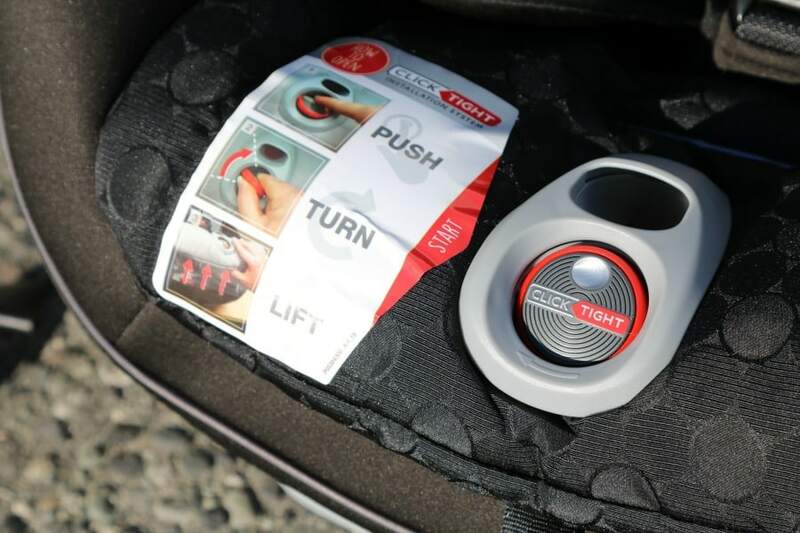 The ClickTight Installation System is the safe and easy to install in any car. This seat also offers three (3) THREE layers of side impact protection, an impact-absorbing base and steel frame for maximum safety. 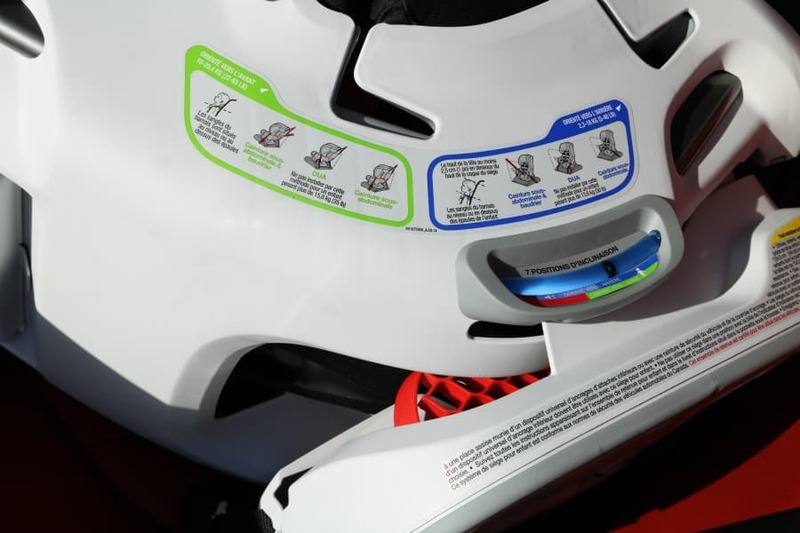 The best thing is that your child’s harness is within range of proper tightness – thanks to the Click & Safe Snug Harness Indicator. It’s the safest and simplest installation technology on the market. 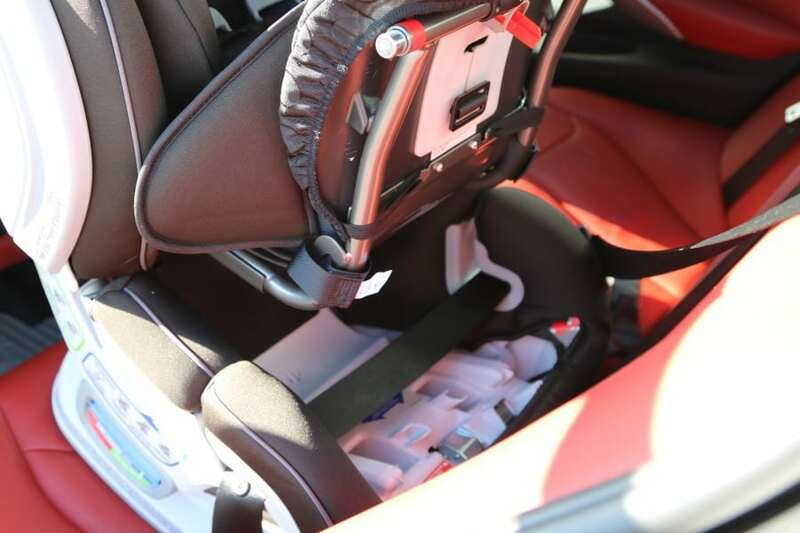 You push the button in, turn it (without breaking a nail), and easily open the front of the car seat. Feed the seatbelt through the indicated path, buckle and click the seat shut. That’s all you need to do for rock-solid installation. These three layers include an energy-absorbing shell, quick-adjust head protection and side cushions. They absorb energy and shield your child from the most severe type of collision. But we won’t talk about that because it’s super scary. There are three structual parts to this seat that are worth mentioning. The SafeCell Impact Protection is a safety system including a steel frame, energy-absorbing base and patented V-shaped tether. The Impact-absorbing base compresses to reduce the force of a collision, and the Impact-stabilizing steel frame offers superior strength where you need it most: at the connection point to the vehicle. The Patented V-shaped tether minimizes seat rotation with a unique two-strap design and staged-release stitches that slow and reduce forward movement during a crash. 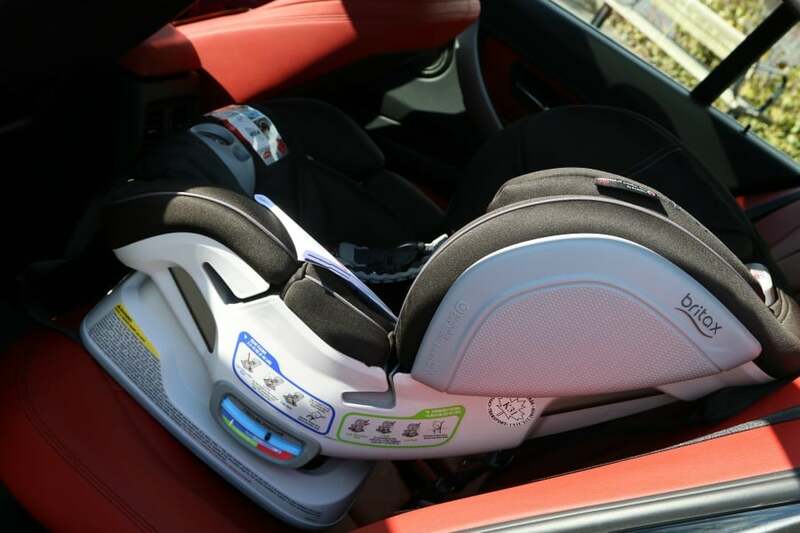 At the bottom of the seat, the Click & Safe Snug Harness Indicator gives an audible “click” to aid you in the proper tightening of your child’s harness. We all hate messing around with the harness as our baby tries and tries to do the back-arch spiderman move to get out of the seat. The quick-adjust 14-position harness and 2-position buckle allows you to easily move the harness upward and buckle outward for a comfortable secure fit as your child grows. The cover also comes off easily for washing. Because you will want to be doing that often. The 7-position recline with automatic level indicator adjusts for proper recline rear-facing or for comfort and the best vehicle fit forward-facing. Don’t you wish you had that in the drivers’ seat? Disclosure: UrbanMommies was sent a unit to test. All opinions and photography are our own.